Most logo designers will provide an EPS version of the logos they create. 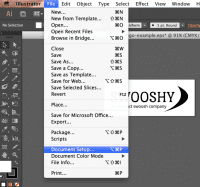 Unlike JPGs, EPS files can be scaled up theoretically infinitely, have transparency, and allow for easy future editing without the original files used to create the graphic (ie, Photoshop or Illustrator). EPS was built for the print world, though. Vector images on the web look like they’ll be largely handled via SVG, at least for the near future anyway, so today let’s take a look at how we can create one from the other. 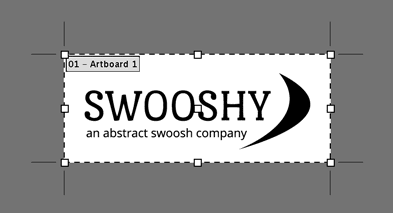 Swooshy, our fake example logo. Firstly, let’s start with our EPS logo. Feel free to download this example EPS to follow along. I’ve added a PNG version of the logo here just so everyone can see what we’re working with, since I can’t display the EPS file online. Swooshy is a pretty uninspired logo, but apparently 62% of logo designers think that adding some type of a curved line to a logo will make them as successful as a certain shoe company. But I digress. Next, we’ll open the image in Adobe Illustrator. Once you’re in Illustrator, you’ll notice that there’s a good deal of white space around the logo itself. Designers like to do this to try and decrease the likelihood that you won’t follow along with their style guide and slap the logo too close to other design elements on a particular page. On the web, we want to control extra space like this with CSS though, not have it directly in the file. Here’s how to reduce the size of the artboard to exactly the dimensions of the logo itself. Go to File > Document Setup. Look in the Window menu and make certain Snap to Point is selected. Now drag the top, bottom and sides of the artboard toward the logo. 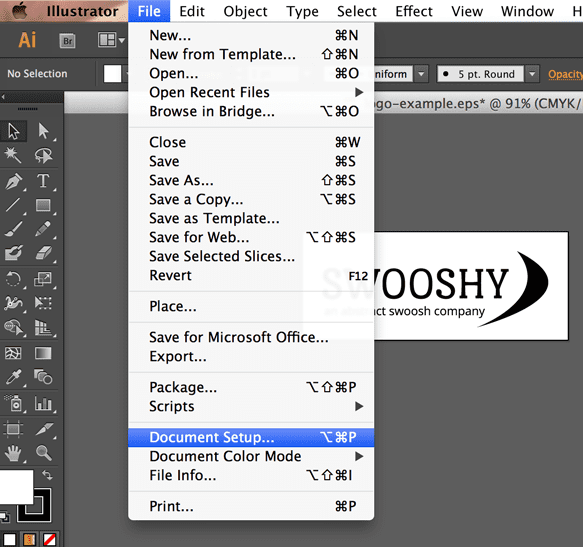 When you get close, Illustrator should snap the documents edges to the very edges of the logo. Almost there! Go to File > Save as… and choose SVG from the Format dropdown. You now have an SVG version of your logo! Like typical JPG, PNG, GIF, etc. graphics on the web, you can use SVG graphics in your CSS or HTML. width="245.235px" height="83.517px" viewBox="0 0 245.235 83.517" enable-background="new 0 0 245.235 83.517"
* One final note: you can also apparently use <embed> and <object> to add SVG images to web pages, however I haven’t worked with either of those to give enough of a vote of confidence for either of them.